9 times or more, Monday through Friday, thousands of dollars pass along the dusty floors of Oshkosh West High School. Left, right, left, right. Don't be mistaken -- you won't find any Benjamins in the A-wing. The most luck you'll have is finding a penny, head side up. The form of currency here is shoes; luxury athletic shoes, specifically. While you may not notice it, West has a low key sneaker obsession brewing. 2015 was one of the biggest years in recent history for shoe releases. With a market dominated by Nike and followed up by Adidas and Under Armour, the brand with the swoosh on the side stepped their competition into the dust. So, the Wildcats lace up their freshest pair of Nikes and stride through hall in style. The first ever teacher to be featured on Sneaker Watch is business department teacher Jeff Becker. Any semester Becker has a sneaker head in class, the student(s) will surely catch glimpses at the shoe game he has. This semester, his classes have gotten to see Becker pull out some of his finest material yet. The Jordan IV 'Cement' that dropped February 13th of this year. Here Becker rocks the Jordan 4 in its 'White Cement' colorway. When it was said that the Nike Air logo would finally be returning for the first time since 1999, one of the most hyped releases of the year gained more momentum. Though this was an obvious reason for purchase, Becker had a more sentimental buying motive -- this was THE shoe to be rocking during his high school days. The illustrious sneaker collection of sophomore Ben Jameson is one of West's best. From a wide coverage of Nike's Kobe Bryant collection to Roshes and retros, Jameson truly has it all. Junior Kyle Mathison caught the eyes of sneakerheads in attendance at Oshkosh West’s student-faculty basketball showdown when he rocked the Hologram Foams in game. We’ll have to wait to see if this junior has anything else up his sleeve. The Nike Air Foamposite came to the feet of sneaker lovers everywhere in 1997 with the brand new Foamposite technology. While the new design did not perform as well on the court as Nike would have hoped, they continued to release new shoes and colorways. There is even a clogposite for those brave enough. In order to keep the shoe selling, Nike has transitioned the Foamposite from a performance shoe to a more casual and stylish shoe. Every year they release new, crazy colors and patterns, making the Foamposite one of the most interesting shoes around. This specific colorway is known as the hologram. Released on November 25 of last year for a retail price of $230. One of the coolest features of this colorway is how the light reflects off of the material. This shoe is certainly one of the more interesting on the market right now. Next up is a seasoned veteran, senior Cameron Frank. Since rocking the LeBron Soldier 6 back in his days at Carl Traeger Middle, his shoe game has come a long way. Spotted in the Bordeaux 7’s this time around, Frank can be caught in many hot pieces of footwear and will likely make a reappearance on our sole watch. Originally released in 1992, the Air Jordan 7 was one of the most popular Jordan of its time. It gained immense popularity due to its appearance in the Olympic games. Designed by legendary shoe designer Tinker Hatfield, the Jordan Retro 7 is one shoe that will continue to fly off the shelves. The specific colorway that Cameron Frank has here is known as the Bordeaux. Being one of the original Air Jordan 7 colorways meant that when it was first released as a retro the shoe sold out very quickly. The first retro release in this colorway was in 2011, but Jordan had a re release in 2015 that allowed many fans of the shoe to have another chance. Coming up is junior Austin Fox. When Austin was spotted in the 72-10 colorway of the Jordan 11 just days after their release, heads were turned and Fox was put on sneaker radars everywhere. This spring when Fox is on the mound for the Wildcats baseball team don’t be surprised to see some heat in the form of cleats. The Air Jordan 11 is widely regarded as one of best, or the best, Air Jordan to ever be released. Again designed by shoe design legend Tinker Hatfield, the Air Jordan 11 and subsequent retro continue to garner much respect in the shoe community. In fact, the Retro 11 was the most resold shoe in 2015, which is a testament to just how popular it is. This specific colorway is known as the 72-10. This is because the NBA season of 1996 to 1997 saw Michael Jordan, wearing the Air Jordan 11, and the Chicago Bulls made history with the best season record of all-time at 72-10. They would also win the NBA Finals that year making this shoe and this commemorative colorway special to not only shoe fans, but Bulls fans. Last, but certainly not least, is junior Ian McDonald, a known fan of Aubrey Graham. Though it was a shock when the rumor emerged that a pair of OVO 10’s were wandering the halls of OWHS, it wasn’t the biggest surprise ever when known fan of Aubrey Graham -- Ian McDonald -- was the one to scoop them up. Many times the Jordan brand will invite famous celebrities that have a fondness for sneakers to help design a new colorway and put their name on the shoe. This colorway is known as the OVO, which refers to the famous rap artist Drake and his record label. Originally only released to Drake’s friends and family, the shoe recently saw a very limited release from Nike making it one of the most sought after shoes on the market. It is simply a miracle west student Ian McDonald was able to secure a pair. Those are just some of the hottest shoes walking the halls of Oshkosh West at this very moment. 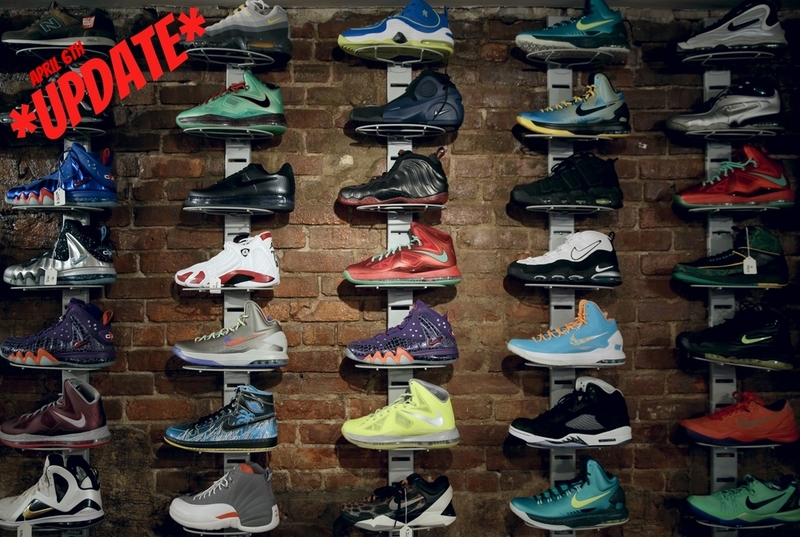 Be sure to check back in as Sneakerwatch will be back as the coolest and newest shoes hit the tiles of West. If you are interested in being a part of the next Sneakerwatch feel free to email oshkoshwestindex@gmail.com to inquire.